The Casio CDP120 Digital Piano. 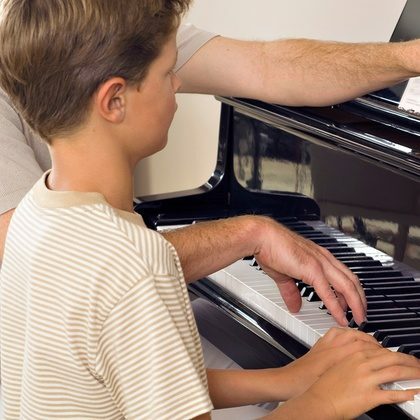 A review by Piano lessons Derby. The Casio CDP120 digital Piano is available locally at Musicroom Nottingham. This compact portable Casio digital Piano comes with a very attravtive price tag. Only £329.00 which includes a Free stand and Free Home Delivery! Now you’ve read the nitty-gritty; Let’s get down to a review of the instrument! At first glance the Casio CDP120 Digital Piano looks attractive, boasting a sleek design with a nice clean overall finish. The keyboard boasts a full compliment of 88-notes with scaled hammer action (already we can run a comparison alongside entry level Yamaha models at £500+), 5 digitally sampled tones, real Piano feel and sound, 48 note polyphony, and much more.. I personally like the Casio CDP120 Digital Piano very much because pound for pound it’s extremely good value for money. The hardest thing to sell to a prospective buyer is the name, “Casio,” – a company which for many people is typically associated with watches, and cash registers. Casio have been manufacturing electronic instruments for well in excess of 30 years. Today, Casio digital Piano’s are a good choice for the beginner looking at buying an entry level digital Piano suitable for Piano lessons. The overall tone of the Casio CDP-120 is extremely pleasing. I spent aboout 20 minutes playing the Casio CDP 120 at Musicroom store in Nottingham’s Victoria Centre and I can tell you my initial reaction was of complete surprise. I couldn’t believe how little money one would need to spend in order to buy a credible instrument which would suit most Pianist’s not just a beginner. The keyboard action felt solid and robust reminding me of more expensive Yamaha digital Pianos. Lower register notes are rich and resonant. Top-end register notes have good attack and sustain values with decent clarity. Overall, highly comparable to Yamaha digital Pianos. With the Casio CDP 120 weighing in at £250 LESS than it’s main rival. For me, it certainly ticks all the right boxes! If you’re looking for a Digital Piano suitable for Piano Lessons the Casio CDP-120 is definitely worth a look!